How do we make our sawdust and shavings eco-friendly? Here at PH Winterton we pride ourselves on being very environmentally aware and on finding the best eco-friendly solutions for our production of sawdust and shavings. We installed a state of the art packaging facility, and made our expanding fleet as economically efficient as we can. This means you can purchase our animal, cubicle and equine bedding knowing we’re doing everything we can to make it as eco-friendly as possible. 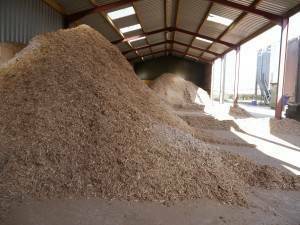 PH Winterton are constantly looking for ways to improve our effect on the environment, and are currently working on producing biomass fuel for the poultry industry, which produces high quality grade A wood residue. Contact us for more information about our products or sawmill waste collections. Areas that we can supply our fantastic biomass fuel to for power and heat include: Staffordshire, Derbyshire, Cheshire, and Nottinghamshire.